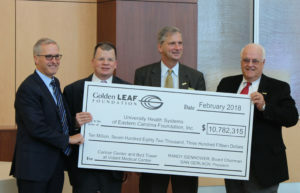 In 2018, Golden LEAF awarded a $10.7M to University Health Systems of Eastern Carolina Foundation, Inc. to purchase equipment for a new cancer center and bed tower at Vidant Health. The project will also create nearly 200 new full-time equivalent positions over five years and will serve as a training location for more than 3,500 future health professionals. 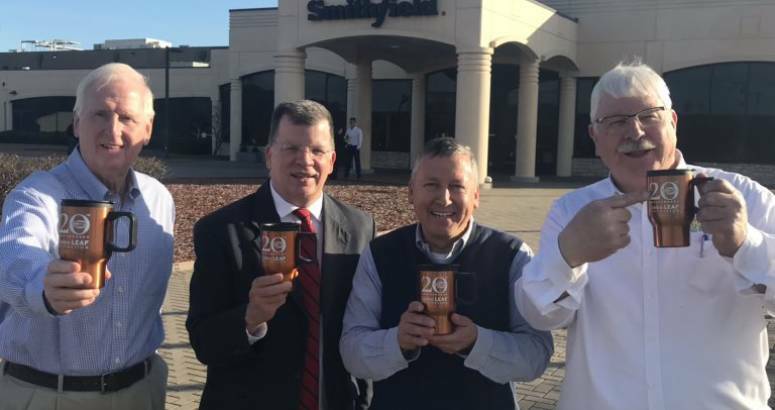 This year marks an exciting milestone for the Golden LEAF Foundation, for 20 years the Foundation has worked to improve economic opportunity for the state’s rural and formerly tobacco-dependent communities. Two decades ago, North Carolina was among 46 states awarded a share of the cigarette manufacturers’ Master Settlement Agreement. To meet the terms of the settlement, North Carolina’s legislature created the nonprofit Golden LEAF (Long-term Economic Advancement Foundation) to administer half of the state’s settlement money through grants into rural, economically distressed communities often dependent on tobacco. Foundation grants have supported projects that have already created more than 63,000 jobs, trained 68,000 workers and built more than $624 million in new payroll statewide. 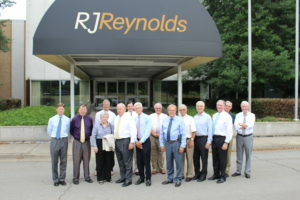 Since that time, the Foundation has remained a reliable and steady steward of the fund, building a solid baseline for funding and enabling strategic investments into North Carolina communities through grants and scholarships. The investments made during the past 20 years are showing results today: Foundation grants have supported projects that have already created more than 63,000 jobs, trained 68,000 workers and built more than $624 million in new payroll statewide. Golden LEAF has 15 dedicated Board of Directors, who are appointed by the NC Governor, the Speaker of the House and the Senate Pro Tempore. During its 20th anniversary year, the Foundation will spotlight its grantees, partners, initiatives, board and staff working to fulfill that ongoing mission. Golden LEAF focuses on projects that maximize investments, particularly in the areas of job creation, workforce training and agriculture. In December of 2000, the Foundation awarded its first grants and created one of its signature programs – its Scholarship Program. Since inception, Golden LEAF has provided more than $40 million to help more than 19,200 students from rural North Carolina attend the state’s colleges and universities. Golden LEAF has awarded thousands of scholarships to help rural students attend NC’s four-year colleges and universities so these students can return home like Dail Berry to live and work. Dail Berry is one of hundreds of Golden LEAF scholars to return home and give back to her community. 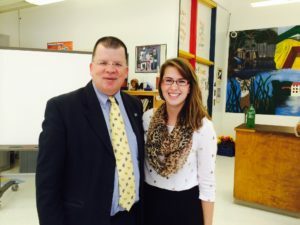 A 2011 graduate of Mattamuskeet High School, Berry earned her degree in elementary education at East Carolina University in 2015 and now works for her former middle school as a science teacher. She also works with a team at Hyde County Schools on a Golden LEAF Foundation grant to provide each middle and high school student and faculty member in the county with a Google Chromebook. Golden LEAF has focused on strengthening different emerging markets to ensure long-term job growth in the region, providing infrastructure support as well as worker training to give new industries like aerospace and biotechnology a chance to thrive. Focusing on infrastructure support like readying major industrial sites in rural areas or drawing industry interest by building out rural high-speed broadband access are among ways the Foundation helps prepare communities for long-term private sector investment. An early initiative aimed support towards the biotechnology and pharmaceutical industries by working closely with with community colleges, universities, industry and government to create a first-of-its-kind training program customized to meet industry need. In 2003, Golden LEAF helped establish the North Carolina Biomanufacturing and Pharmaceutical Training Consortium (NCBIOIMPACT) and awarded nearly $69 million to this landmark effort. Golden LEAF provided $69 million to two universities and the North Carolina Community College System to help build the biomanufacturing and pharmaceutical industries in North Carolina. 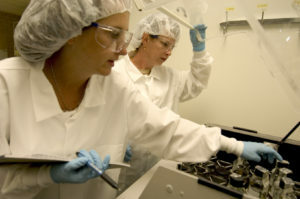 The training consortium includes a range of partners including North Carolina Central University’s Biomanufacturing Research Institute and Technology Enterprise (BRITE), North Carolina State University’s Biomanufacturing Training and Education Center (BTEC) and North Carolina Community College System’s BioNetwork. North Carolina now has a thriving biotechnology industry with 530 companies employing 59,000 people. There are many additional examples highlighting the range of industries Golden LEAF supports, large and small, throughout the state’s rural communities. The Foundation will continue to dedicate resources to rural North Carolina and build on the past two decades of success. Click here to see Golden LEAF’s past initiatives and the impact made by grantees across the state.